The other day I was getting desperate to find a satisfying Christmas book. I wanted something fun and flirty, short and sweet. Featuring snow would be a plus (I live in the south!). I wasn't having any luck at my digital library finding the perfect audio book, so I took to the free ebook lists at Amazon and Barnes & Noble. I found several that had potential and have already read one of them which fit the bill perfectly. 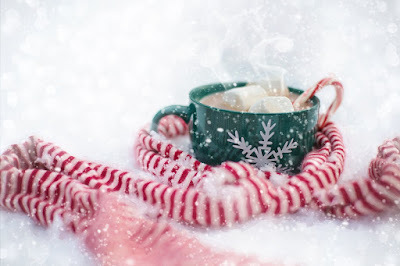 So if you are looking a story filled with holiday magic, but don't have the budget for more books this month I hope these freebies will help you too. 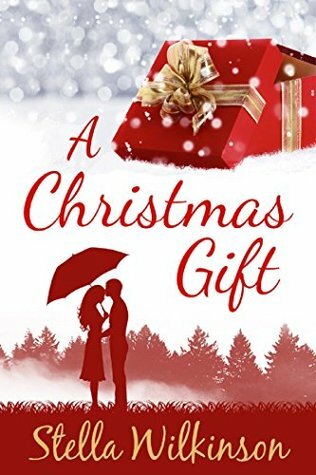 Liz Flowers has never enjoyed Christmas, but this one is shaping up to be the worst by far. She let her ex take her daughter to Mexico while she stays behind in a strange town, sitting her former mother-in-law’s high strung little dog. It’s an opportunity to meet new people, but this California girl doesn’t have much in common with the ranchers in small town Marietta.ex take her daughter to Mexico while she stays behind in a strange town, sitting her former mother-in-law’s high strung little dog. It’s an opportunity to meet new people, but this California girl doesn’t have much in common with the ranchers in small town Marietta.ex take her daughter to Mexico while she stays behind in a strange town, sitting her former mother-in-law’s high strung little dog. It’s an opportunity to meet new people, but this California girl doesn’t have much in common with the ranchers in small town Marietta.ex take her daughter to Mexico while she stays behind in a strange town, sitting her former mother-in-law’s high strung little dog. It’s an opportunity to meet new people, but this California girl doesn’t have much in common with the ranchers in small town Marietta.ex take her daughter to Mexico while she stays behind in a strange town, sitting her former mother-in-law’s high strung little dog. It’s an opportunity to meet new people, but this California girl doesn’t have much in common with the ranchers in small town Marietta.ex take her daughter to Mexico while she stays behind in a strange town, sitting her former mother-in-law’s high strung little dog. It’s an opportunity to meet new people, but this California girl doesn’t have much in common with the ranchers in small town Marietta.ex take her daughter to Mexico while she stays behind in a strange town, sitting her former mother-in-law’s high strung little dog. It’s an opportunity to meet new people, but this California girl doesn’t have much in common with the ranchers in small town Marietta.ex take her daughter to Mexico while she stays behind in a strange town, sitting her former mother-in-law’s high strung little dog. It’s an opportunity to meet new people, but this California girl doesn’t have much in common with the ranchers in small town Marietta. 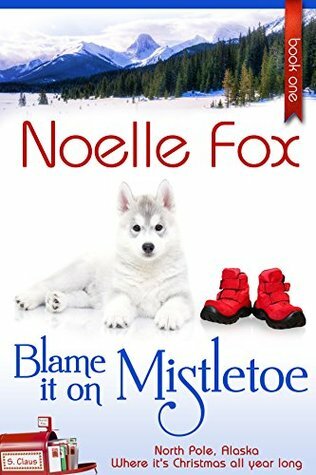 Blame the Mistletoe is book 2 in the Montana series, but I couldn't tell I was missing anything by not having read book 1 first. I suspect that each book is focused on different couples with ties to the small town of Marietta. This novella was a fun and flirty quick read (I read in in one night). Nancy Walker and Woodrow Lawing were friends until the night seventeen-year-old Nancy whacked Woody with a snowball and he chased her behind a tree. She kissed him and expressed her undying love, but at his age of twenty-three and being best friends with Nancy's older brother, Woody didn't share Nancy's teenage crush. Years passed and they went their separate ways, both believing they had been rejected by the other, but when circumstances bring them together again—Woody a bachelor and Nancy a widow—old feelings emerge. They try to revert to being just friends, yet pain from the past has lessened over time and they wonder if it's really too late for love. As Christmas snowflakes fall, can miracles really happen? Lady Gwyneth Beaumont has long awaited the opportunity to convince Viscount James Ashworth that she is no longer the impetuous child who dogged his footsteps. Now a much sought-after debutante, she is determined to prove to the hard-headed rake that she is a grown woman and a worthy participant in both the spy game and the game of love. Ash, recently returned from three years undercover in France in His Majesty's service, wants nothing more than to complete his final mission and retire to his bucolic country estate. 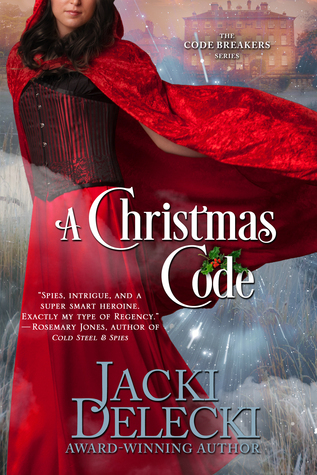 However, what seemed a simple assignment to protect the Prince Regent at a Christmas party turns into a maze of intrigue, desire, and treachery. Adding to the perilous secret operation is one problem Ash never anticipated: the appearance of the reckless, enticing Gwyneth, who has blossomed into a gorgeous woman and self-appointed spy. When a snooping Gwyneth uncovers a shocking secret, she puts herself in mortal danger. Can Ash protect Gwyneth and the Prince from French assailants and, at the same time, win the passionate Lady's heart? Can Ash and Gwyneth both triumph in the game of spies and love? Welcome to North Pole, Alaska, where the Christmas Spirit lives all year long. Lots of kids write letters to Santa. But those delivered to North Pole are actually answered by a group of dedicated volunteers who call themselves "the Elves." JD Baxter’s letter to St. Nick asks for just one thing: His father didn’t make it back from Afghanistan, and JD wants Daddy home again. Saints can do miracles, right? But since last year’s letter went astray, JD decides to stow away to North Pole and ask for his miracle in person.North Pole and ask for his miracle in person.North Pole and ask for his miracle in person. In North Pole, he encounters a postmistress who looks exactly like Mrs. Claus, a man named Rudolph with a red nose and a herd of reindeer, as well as enough toys, candy and Christmas cheer to make anyone feel good. He just can't find St. Nick.North Pole, he encounters a postmistress who looks exactly like Mrs. Claus, a man named Rudolph with a red nose and a herd of reindeer, as well as enough toys, candy and Christmas cheer to make anyone feel good. 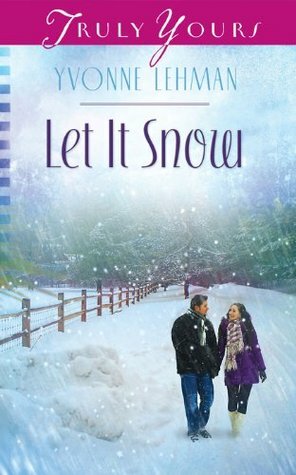 He just can't find St. Nick.North Pole, he encounters a postmistress who looks exactly like Mrs. Claus, a man named Rudolph with a red nose and a herd of reindeer, as well as enough toys, candy and Christmas cheer to make anyone feel good. 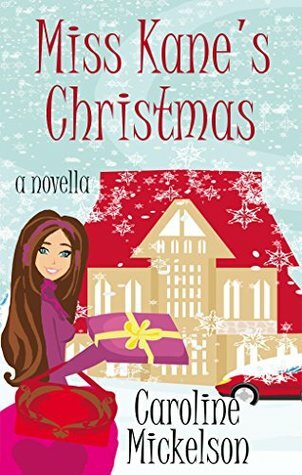 He just can't find St. Nick.North Pole, he encounters a postmistress who looks exactly like Mrs. Claus, a man named Rudolph with a red nose and a herd of reindeer, as well as enough toys, candy and Christmas cheer to make anyone feel good. He just can't find St. Nick.candy and Christmas cheer to make anyone feel good. He just can't find St. Nick. Abby Baxter has spent the year since her husband's death trying to hold on. When she discovers her son is missing, her entire world trembles— until her husband's best friend appears at her door, offering a steadying hand. Frank Machado couldn’t save David Baxter’s life in combat. Worse, for years he's been secretly in love with David’s wife. Now that their son is missing, Frank is determined to see the child back in Abby’s arms. Sparks fly, hearts warm, love—and Christmas—are in the air. Should they Blame it on Mistletoe?